Wetlands provide a host of ecological services, including water purification, ground water and surface flow regulation, wildlife habitat, flood and surge impact reduction, water temperature moderation, erosion control, and stream bank stabilization. Wetlands are essential filter beds, or ‘the kidneys’, for our river systems, ground water and landscapes. They serve as natural filters, removing pollution from waters flowing through them, while purifying and recharging aquifers below. Water is cleansed as wetland soils and vegetation trap sediments, heavy metals and pathogenic microbes. Wetlands sift out nutrients such as nitrogen and phosphorus that can degrade water quality and threaten fisheries. Wetlands serve as sponges, sopping up water from rain and overflowing rivers and storing it in temporary reservoirs while helping to prevent erosion. During dryer periods, wetlands perform the opposite role. They can mitigate droughts by storing water during the wettest times of the year and slowly releasing it during the driest times. Also, by storing carbon, wetlands help to slow down global climate change. Populated regions in Ontario have lost over 70% of their wetlands as a result of agriculture and development. In Ottawa, wetlands have been converted or compromised by municipal drains. In 2010, the Environmental Commissioner of Ontario issued a warning that the Drainage Act was inappropriately being used in Ottawa’s Goulbourn Wetland Complex to undermine policies protecting provincially significant wetlands, “….natural heritage features are being destroyed as farmlands are prepped for subdivisions and aggregate operations under the guise of ‘normal farm practice’”. the implementation of Green Infrastructure solutions that recognize Natural Heritage Systems planning requires a holistic approach, rather than viewing such things as wetlands and woodlands as discrete and disconnected entities. Just as wetlands are critical to healthy watersheds, there is no other species as important in maintaining wetlands as beavers. When beavers take down trees for their dams and lodges, it helps to create diverse habitats. By opening the tree canopy, sunlight is able to reach the water, triggering an explosion of biological activity. Grasses, sedges, bushes and saplings grow on the perimeter of the pond. These plants provide food and cover for foraging animals. Meanwhile, algae and aquatic plants grow in the sun drenched, nutrient rich water. This organic material supports microscopic organisms which are eaten by a variety of invertebrates. These become food for fish, and a host of birds and mammals. An entire food chain is created by a beaver pond. Beaver dams improve the flow and quality of water, holding back flood waters and preventing erosion, reducing sediments and toxins while storing water for times of drought. Research professor, Cherie Westbrook, a hydrology specialist at the University of Saskatchewan, talks about the ability of beaver dams to elevate and stabilize the water table by storing and gradually releasing precipitation and runoff, “water that seeps into the soil around a beaver pond can travel up to two kilometers underground, raising the water table throughout the zone”. Glynnis Hood, associate professor of environmental studies at the University of Alberta, in an extensive study published in 2008, confirmed that beavers have an overwhelming influence on wetland creation and maintenance, warning that the “removal of beaver should be considered an environmental disturbance on par with in-filling, peat mining and industrial water extraction”. 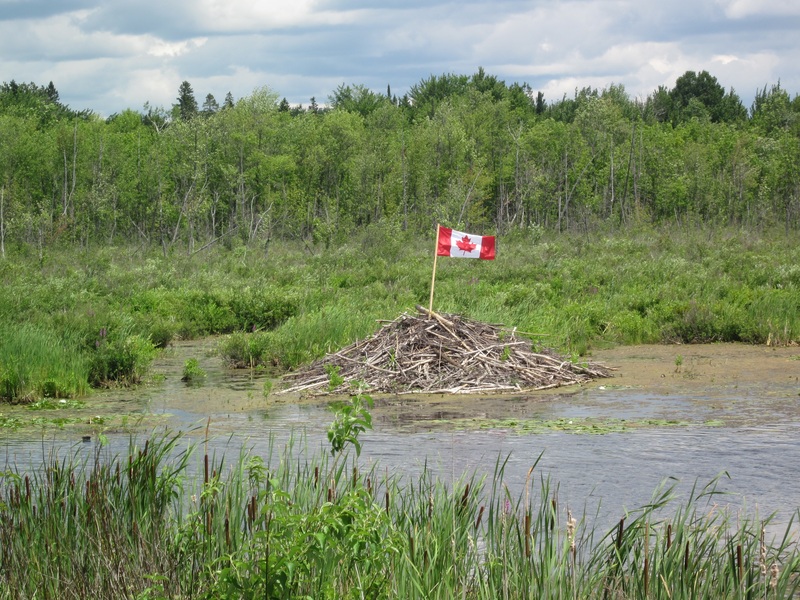 Protecting wetlands and adopting a science-based understanding of the key role beavers play within these ecosystems will be central to a successful Water Environment Strategy in Ottawa.